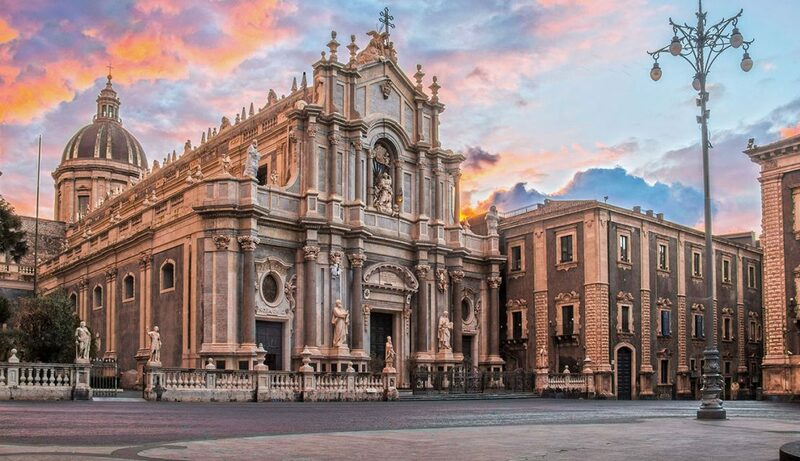 There is a dramatic feel to Catania. Situated at the foot of Mount Etna, the sense of being near the most active volcano in Europe is ever present. The people of Catania claim that the city has a higher energy frequency due to the volcanic activity, giving the city its unique feel and atmosphere. 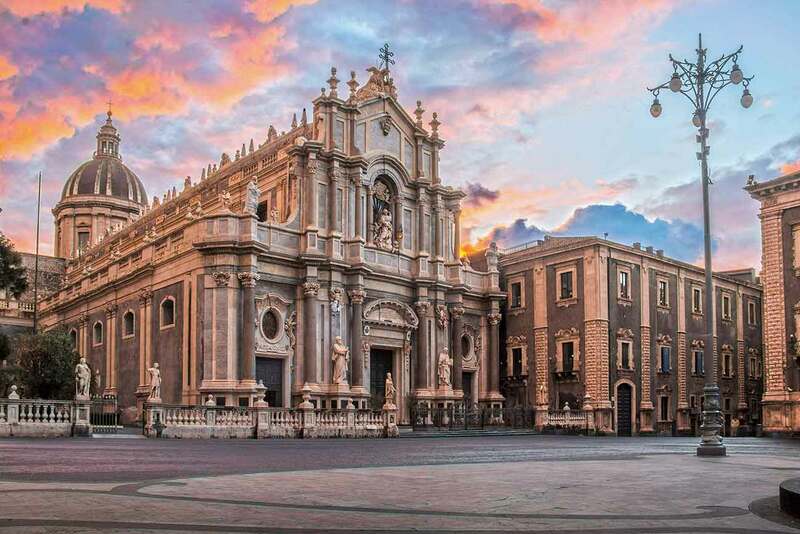 The fact that Catania today isn’t one of the big tourist magnets of Sicily does not mean that the city is without a long and vibrant history. On the contrary, when the Greeks first started colonizing the island around the year 800 BC, they first embarked in Giardini Naxos (thus the Greek sounding second part of the name, the letter X is almost never used in Italian), just southwest of Taormina. From there they spread further southwest and settled Catania, Megara, Hyblea, Syracuse, and Gela before finally moving even further west towards Agrigento and Selinunte. chitecturally inclined will have to settle for buildings from the baroque-era, made from black lava rock. Catania is a bit of an Eldorado for foodies, sporting a surprisingly high number of great quality restaurants, with no less than six of which that have been awarded one star or more by the Michelin Guide. If you have reservations about eating horse, however, you should pay close attention to the menu, because the local specialty is horse meat in all its forms. If you are lucky, you might also catch one of the frequent nightly horse races going through the city, that are as popular as they are illegal. The fish market by the docks is legendary and an absolute must while visiting. Lively, messy and wonderful. patron saints or of something higher up in the Catholic hierarchy. They celebrate with processions, brass orchestras, and the whole shebang. 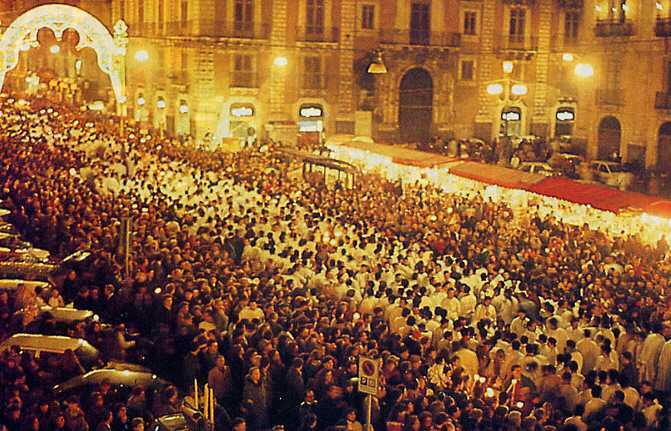 One of the most spectacular celebrations in Catania is that of Sant’Agata, held 3-5 February each year. Sant’Agata was a young Christian woman who lived during the 3rd century. A Roman governor by the name of Guinziano fell in love with her and tenaciously tried to seduce the young woman. In fact, he was so tenacious that she ended up committing suicide in order to save her chastity on the 5th of February 251 AD. The festivities are spectacular, and last all day and night during the two days. On the programme are loads of processions - of course - but also more unique occurrences, like people carrying their own weight in candle wax during the entire night in order to repent for their sins. Apart from all this is, of course, a barrage of Sicilian food, drink, and music to enjoy. It is a must for anybody who is anywhere in Sicily during the beginning of February to visit these festivities. Luckily a train ride to Catania from pretty much anywhere on the island is both affordable and practical. Just north of Catania are the three A’s: Acireale, Aci Castello, and Acitrezza. They are known in Sicily for offering the best granita on the island. Well worth a visit. 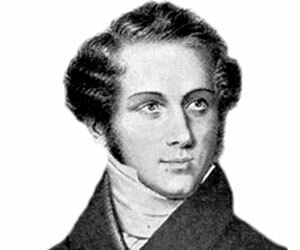 Famed composer Vincenzo Bellini (1801-1835) was Catanese. He is most famous for producing a variety of operas during his short lifetime, but he also made contributions to other areas regarding the quality of life. The dish Pasta alla Norma, which stems from Catania, is said to be named after Bellini’s opera Norma. According to legend, a playwright by the name of Nino Martoglio shouted ‘Chista è 'na vera Norma!’ when served this dish cooked to perfection. What he meant was that the dish was perfect, just like the opera Norma was the perfect opera. One should also not neglect the delicious and refreshing drink bearing his last name, made from Prosecco and apricot purée. Not bad for a man who spent a mere 34 years in this world. The grande, one might even say flamboyant, volcano Mt. Etna dominates this entire part of Sicily. It is impossible not to constantly see, and feel its presence. This usually ends up with people wanting to climb it, but being 3300 meters tall, it is suggested to take a bus or car at least part of the way up. For instance to Rifugio Sapienza, where there is an aerial lift that can take you right to the very top. You could also walk the rest of the way up from here (worth noting is that this activity is known in Italian as ‘footing’). When you finally reach the top, you will be rewarded with steaming craters and a beautiful moon landscape, where the sulfur, iron oxide and other chemicals make the mouths of the crater shift in green, yellow and red. In winter time the aerial lift is used mostly by skiers, and anyone who takes their skiing seriously should have at least once skied down an active volcano. The almost constant volcanic activity of Etna has made the soil around it very fertile. This means that you will find lots of vineyards around it, producing high-quality wines. The area is also known for its mushrooms, sausages, cheese and blood oranges.